We recently purchased a four-bedroom house with a combi boiler about five years old. With three shower rooms, dishwasher and washing machine, showering can be a problem. We are considering changing the system to the traditional boiler, with f&e (feed-and-expansion) tank and hot water cylinder. Is there any sensible alternative to this rather expensive undertaking? 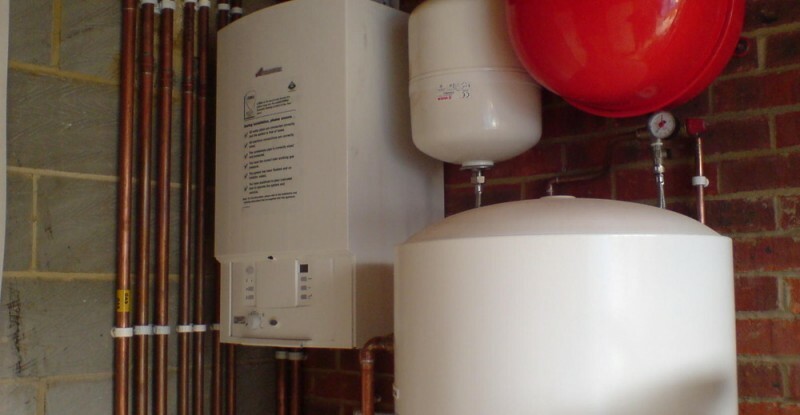 You can keep the existing boiler and just add a cold-water cistern in the loft, with a hot-water cylinder (HWC) lower down. This would leave the central heating to run as a pressurised system, but add a traditional indirect-pressure hot water system. You’ll need to fit a three-port motorized valve and HWC thermostat to control it. Basically you will be fooling the combi boiler into thinking that the HWC is a big radiator on its own separate circuit, so it will heat the cylinder until the thermostat tells it that it’s hot enough (ideally 60C).